Three years ago, I had never even heard of the breed of cattle called ‘Corriente,’ but now, this noble and native breed comprises over 90% of my herd! Despite being around for centuries, few people are familiar with them. Corrientes can be described as a small frame Longhorn with shorter and straighter growing horns and are quiet, gentle, and hardy. Never enter a pasture, though, with any type of livestock – they are protective of their young and may be leery of strangers. Corriente cow with a Red Angus calf by her side. Here’s a short history of the unique, yet ‘common,’ Corriente! 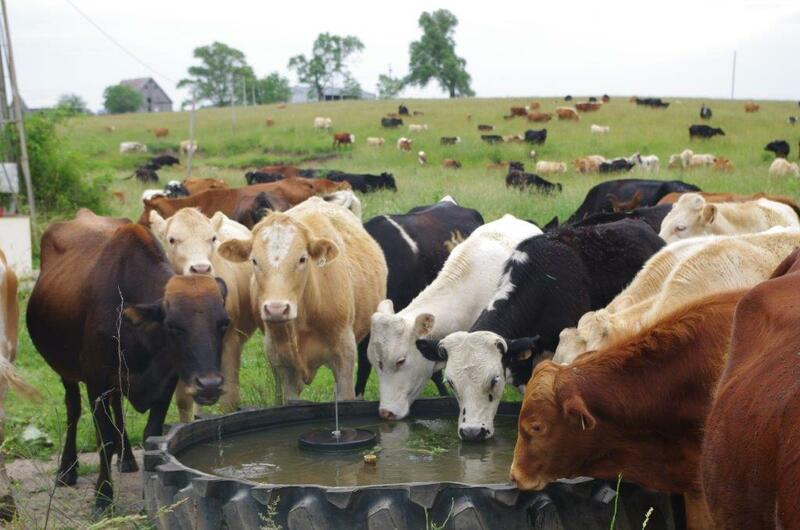 The Corriente can be traced back to the first cattle brought to the New World by the Spanish as early as 1493. These hardy cattle were able to withstand the ocean crossing and adapt to their new land. They were brought to the West Indies and south Florida, as well as to Central and South America. 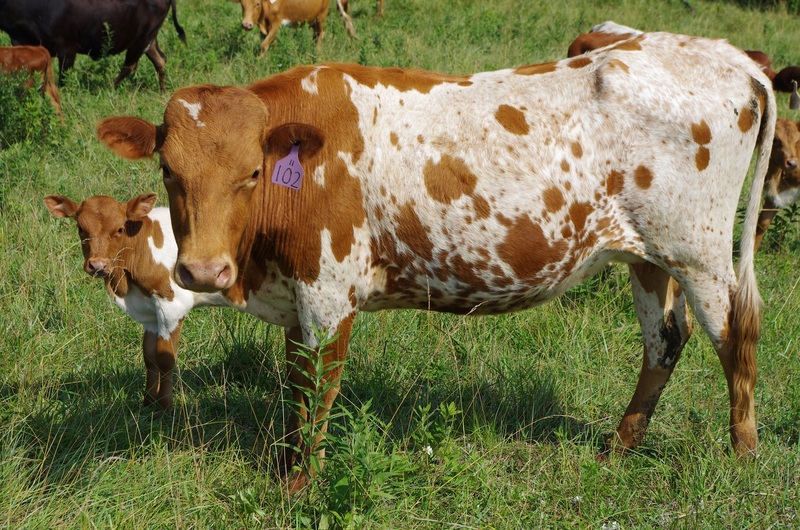 Over the centuries the descendants of these cattle were bred for different purposes – milk, meat and draft animals. They also adapted through natural selection to various regions. Eventually, their descendants spread across the New World. 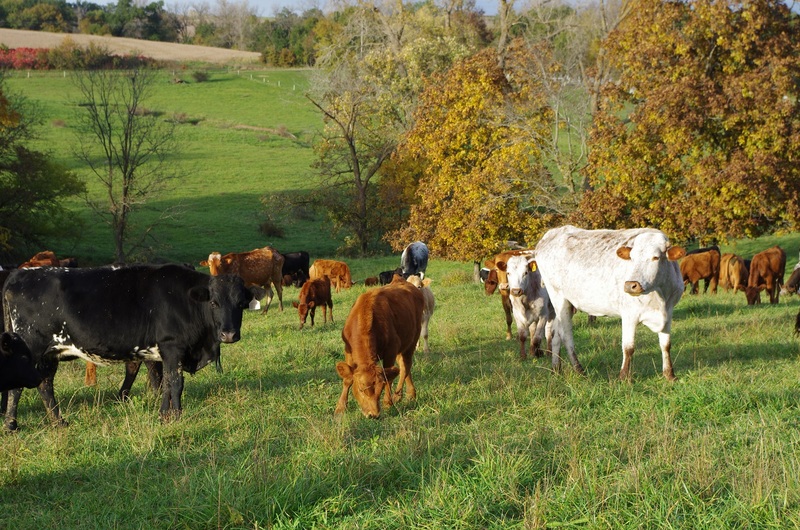 In the early 1800’s, European and other breeds were introduced, and by the 1900’s many ranchers in the Americas were crossing their herds with modern beef cattle. Pure descendants of the original Spanish cattle almost disappeared, but some managed to survive with little human care or intervention in remote areas of Mexico, Central and South America, and in very limited numbers in some areas of the southern U.S.
Today, there is evidence of a worldwide growing interest in preserving various strains of these hardy, native cattle. Cattle associations in Spain, Cuba, Mexico and South America are making efforts similar to the NACA’s to recognize their attributes, though few actually support registries. Crossbred calves drinking from a tire tank. One cow to the left. Longhorn heifer with her first calf. In Central and South America, the various descendants of the early Spanish cattle are generally referred to as “Criollo.” In parts of northern Mexico, they are often called “Corriente,” although this term is frequently used for any small cattle of indiscriminate breeding and not just for the type of cattle recognized by the NACA. “Corriente Ropers” became the most common term used at the border to refer to the cattle purchased for rodeo use. Thus Corriente was chosen by the founders of the NACA to be used for this registry. John E. Rouse, in his book, World Cattle, Vol. III, Cattle of North America, explains the names used in Mexico. Regardless of the name, the NACA has made great in-roads toward defining, describing and preserving Corriente cattle as a specific breed.